When all assets are tracked, it opens for substantial cost savings. Data analytics empower business insights and helps you to solve the most complex problems. We enhance efficiency, utilization, and safety by providing true global visibility for assets and field equipment. See how tracking creates opportunities in your field now and tomorrow. Most robust casing for all industrial environments and all-weather conditions – IP69k rated devices. Trusted tracking devices are based on power management with battery life from 4 years up to 15 years. Our sensors detect position, motion, temperature, shock, utilization, humidity, tilt, light and much more. Efficiently manage the operation behavior of your assets and equipment. 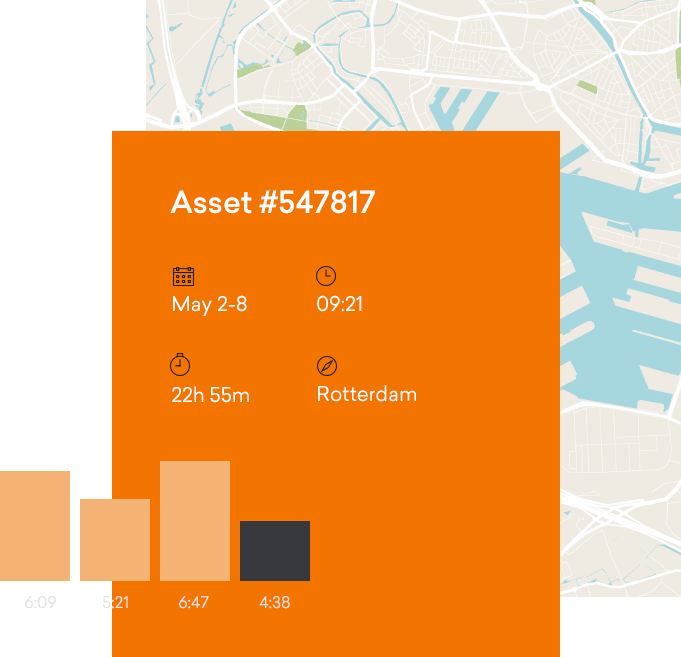 Trusted measures actual working hours and performance of physical assets to optimize the usage. The comprehensive cloud-based management solution and intelligent tracking device cost-effectively monitor that all your assets are operating as intended. High-value equipment in transit and shipment are likely to be subjected to potentially damaging drops or impacts. The 3-axis shock sensors analyze shock pulses of your equipment and provide a proven real-time overview. In case of threshold values are exceeded, instant alarms are sent to you from any global location. These insights can lead to cost savings and meaningful revenue. February 1, 2019 in	Uncategorized	Today, we are pleased to welcome our new colleague Peter Nissen as Sales Manager. November 6, 2018 in	Tracking	IoT technology enables you to recover lost and stolen equipment!